A large number of brickworks and potteries were established in the Brunswick area from the 1870s due to the presence of quality clay deposits. Formed in 1870, the Hoffman Patent Brick and Tile Company introduced large scale brick making to Victoria when they established brickworks on 4.9 hectares (12 acres) in Albert Street, Brunswick (not extant). Central to their brickmaking process was the revolutionary Hoffman kiln for which the company had patent rights. This kiln, developed in Prussia in 1859, allowed a continual process of loading 'green' bricks and allowed an economical use of fuel. Hoffman kilns were constructed at the original site in 1870, 1871 and 1875. In 1884 the restructured 'Hoffman Patent Steam Brick Company' purchased an additional 14.6 hectares (36 acres) of adjacent land to the south and opened their No 2 works fronting Dawson Street. This enabled an increase in production which reflected the dramatic growth of Melbourne at the time. Hoffman kilns were constructed at the No 2 works in 1884, 1888 and 1908; the latter replacing a Foster tunnel kiln erected in 1885. In 1887 a technologically advanced mechanised steam powered brick press was added to the site, based on the English Bradley-Craven principle and manufactured in Victoria. This resulted in a fully industrialised brick making process. Established as one of the largest brick manufacturer in Victoria by the late 1880s, the company began to diversify its range of products, and the eastern section of the site was developed as a pottery producing ceramic pipes and sanitary ware, and later tessellated tiles, terracotta items, Marseilles roofing tiles and decorative pottery ware. This included the production of drainage pipes for the Melbourne & Metropolitan Board of Works for the sewering of Melbourne from the 1890s. By the early twentieth century the site contained three kilns, a large brick grinding and pressing building, an engine house, a special brick department to the west, a pottery works to the east and three tramways which connected with the main Coburg train line and transported bricks from the site. The depressions of both the 1890s and 1930s temporarily halted production at the Hoffman Brickworks and the No 1 works were permanently closed in 1941. Production continued at the No 2 works, however as kiln technology advanced after World War II, the Hoffman Company did not keep up with advances in the industry and fell behind in the market. Clifton Holdings bought the business in 1960 and the closure of the drain pipe division followed in 1962 and the other pottery works in 1969. Much of the pottery land to the east of the site was subdivided and sold. Nubrik purchased the brick making operations in 1986, but production ceased in 1993 and the site was sold to a development company in 1996. It has subsequently been redeveloped as parkland and for residential purposes. The original Dawson Street brickworks site of 14.6 hectares (36 acres) has been greatly reduced. It contains two kilns (1888 & 1908) and a chimney from a third kiln (1884); a brick press building (part of which may date from 1884) which contains nine brick presses dating from the 1920s, 1960s and 1970s and an adjacent edge runner mill, and a small remnant section of the original pottery works to the east. The brick press building, situated to the west of the site, has a large iron clad gabled building at its core. Surrounding sections include a gabled brick building to the south west which was probably the former engine house. 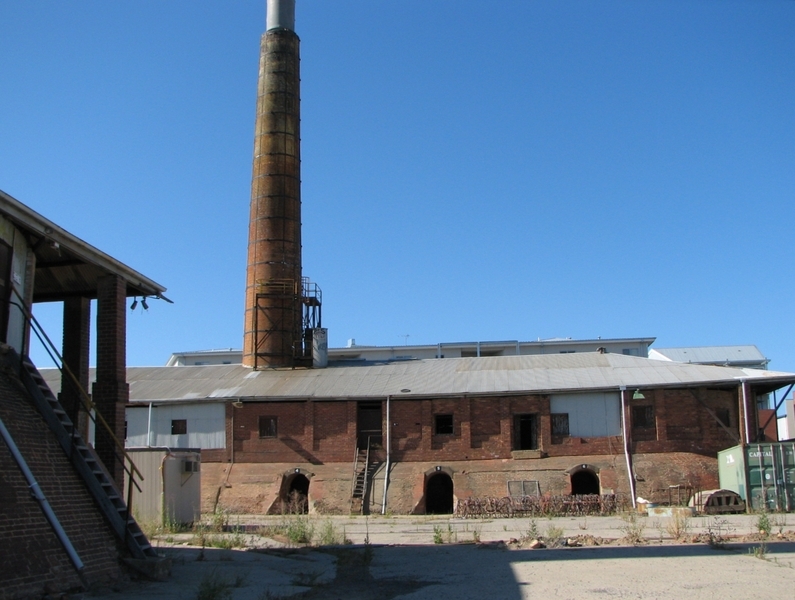 Two former Hoffman kilns, with tall brick chimneys, are located to the east of the brick press building and both have been adapted for residential use. The basic forms of these elliptical brick kilns, with battered lower walls, arched wicket openings and hipped iron roofs, have been retained. A third chimney is the only remnant of the first kiln erected in 1884 and this is located to the north west of the other kilns. The area surrounding the kilns is asphalted and an access road has been formed to the east. Further to the east is a small brick paved area; the site of two earlier pottery kilns which were once part of the extensive pottery works. Circular brick paving indicates the position of these kilns and there may be sub-surface remains. 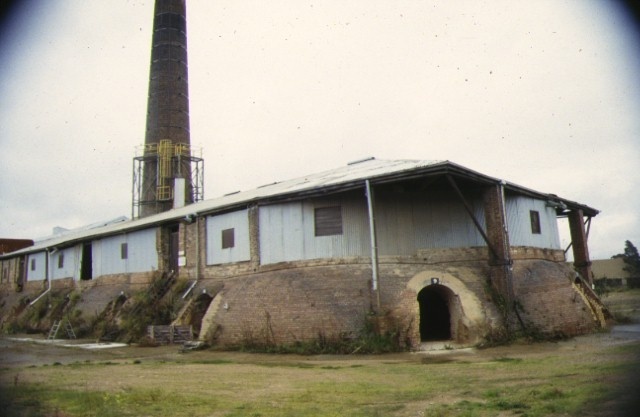 The Former Hoffman Brickworks, Brunswick is of local historical significance as the only remnant example of the once highly important clay manufacturing industry which was central to the history of Brunswick. As Executive Director for the purpose of the Heritage Act 1995, I give notice under section 46 that the Victorian Heritage Register is amended by amending Heritage Register Number H0703 in the categories described as Heritage Place and Archaeological Place. All of the place shown hatched diagonally (but excluding the formerly registered part shown cross hatched) on Diagram 703 held by the Executive Director and encompassing all lots and common property on Plan of Subdivision 631815 and part of the road reserve of Pottery Court. Two main brick making areas developed in outlying areas of Melbourne in the nineteenth century; one to the north of the city and one to the south-east. To the north, Brunswick's clay industry developed from the 1840s and by 1870 there were over 40 brickworks located in the area. Hence the manufacturing of bricks, and other clay products, was an important industry in the Brunswick area from the mid-nineteenth century. Similarly, high quality clays were identified in the Nunawading area to the south-east of Melbourne in the 1850s and the industry developed from this time. The clay industries continued to thrive into the 1960s, however the majority of brickworks were demolished after this period and the industrial sites redeveloped. Exceptions to this were the Hoffman Brickworks at Brunswick, north of the city, and the Box Hill Brickworks, later the Standard Brickworks, at Box Hill, south east of the city. Both have since ceased operation. From its establishment in 1870, the Hoffman Brickworks, Brunswick provided employment for many local residents and many company principals were local landowners and businessmen. From the mid-1880s to the 1930s the Hoffman Land & Investment Company made extensive purchases of land in West Brunswick, much of which it subdivided and sold. A large number of streets near the Hoffman Brickworks site in Dawson Street are known to have been partly or wholly subdivided by the company and a number were named after company members. The Hoffman Patent Brick & Tile Company was formed in 1870 by Jenkin Collier, David Mackenzie and Barry and William Owen, and brickworks were established on 12 acres (4.9 hectares) in Albert Street, Brunswick. This original site, known as the No 1 works, was situated to the north of the second brickworks which the company developed some 15 years later in Dawson Street. In 1870 the brick making process in Victoria operated on a small scale in a relatively primitive manner, and the establishment of these works introduced large scale brick making to Victoria. The intention of this company to modernise and industrialise the brickmaking process was evident from its inception. Central to this modernisation was the Hoffman kiln, developed by Friedrich Hoffman in Prussia in 1859, for which the newly formed company had patent rights. This kiln type revolutionised the brick making process by allowing a continual process of loading 'green' bricks and using fuel more economically. 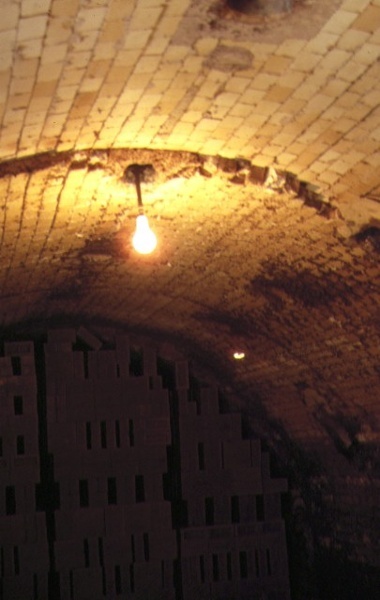 The kiln operated on the principle of continuous burning around a central tunnel, with waste heat used to dry the green bricks. These kilns revolutionised the brick making process, replacing clamp burnt kilns and open draught and down draught kilns. A 12 chamber circular Hoffman kiln was initially erected in 1870 at the Albert Street works and two large elliptical 24 chamber kilns were added in 1871 and 1875. The addition of technologically advanced mechanised steam powered brick presses, based on English Bradley and Craven presses, to the Hoffman Brickworks in the 1870s probably marked the first full industrialisation of the brick making process in Australia. In 1884 the company restructured as the 'Hoffman Patent Steam Brick Company' and purchased an additional 36 acres (14.6 hectares) of adjacent land to the south. This enabled an increase in production in response to an increase in demand as building boomed in Melbourne. On this land the company opened their No 2 works, fronting Dawson Street, and constructed a Hoffman kiln. The following year an early Foster tunnel kiln was added to the No 2 works, a Bradley and Craven brick press was added to the No 2 works in 1887 and a second Hoffman kiln in 1888. An incline haulage transported clay from a clay hole at the north-west of the site to a brick making and pressing building located in Dawson Street, at the west of the site. 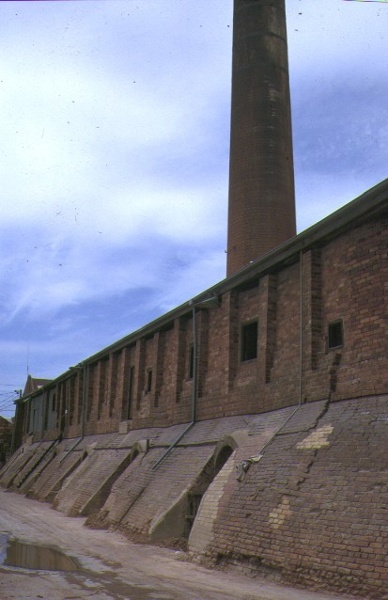 By the late 1880s the Hoffman Company had reportedly established itself as the largest brick manufacturer in Victoria and it began to diversify the range of products by initially producing terracotta pipes and sanitary ware in 1886, meeting the demand created by the sewering of Melbourne from the 1890s. Pottery works for this production were established at the eastern end of the No 2 works in Dawson Street. This rapidly grew to become a large part of the company's operations and by 1900 they were producing a wide range of products including pedestal pans, urinals, bathroom basins, demi-johns, baking dishes, preserving jars and bottles, paving and garden edging tiles, greasetraps and fire bricks. Contracts at this time with the Melbourne & Metropolitan Board of Works ensured the company's production of drainage pipes. By 1902 the company's pottery works were reportedly the largest in the state. A Melbourne and Metropolitan Board of Works Plan of 1894 clearly shows the structures present at both the No 1 and No 2 brickwork sites at this time. At the No 2 works these included three kilns, two of the oval Hoffman type and a Foster (or tunnel) kiln, a brick grinding and pressing building to the west, an extensive pottery works, with 11 small kilns, to the east and a pug mill and two small buildings in Dawson Street. Also shown are three tramway which transported bricks off the site. These connected with the main Coburg line. The No 2 works ceased production during the depression of the 1890s, with limited production recommencing after 1900. In 1908 the Foster kiln was demolished and replaced with a third Hoffman kiln. The Dawson Street site began to expand and develop in the early twentieth century and a building housing a new 'Special Brick department' was constructed to the west of the site by 1913. The grinding and pressing building was expanded in several stages and the pottery works continued to expand. Production of tessellated tiles (in 1908) and terracotta items, such as finials, dragons, chimney pots and garden vases commenced and the production of Marseilles roofing tiles followed in 1917. Household pottery wares were produced from about 1912 and Bristol ware, Langley ware, and the most well known Melrose ware, were produced in the twentieth century by the Hoffman Company. The 'Mel-rose' trademark was registered in 1932 and Melrose ware featured distinctive Australian motifs. A site plan produced in 1929 would appear to show the No 2 works at their greatest extent, however the depression of the 1930s again halted production. The No 1 works were closed in 1941 (demolished 1975-76) and production continued at the Dawson Street site. The post World War II period saw the development of new, cheaper kiln technology, with a shift away from the Hoffman mode of operation, however Hoffman's apparent reluctance to adopt new technology resulted in it falling behind other companies. In 1960 Clifton Holdings took over the Hoffman Brickworks, with the drain pipe division closing in 1962 and the other pottery works in 1969. By 1963 the Special Brick Department and the principal pottery and terracotta works had been demolished with most of the pottery land subsequently subdivided and sold. The Hoffman kilns were converted to oil firing in the 1960s and natural gas in the 1970s. Nubrik purchased the site in 1986 and ceased brick making operations in 1993. They sold the site to the Sungrove Corporation in 1996 and the site has been extensively redeveloped since this time. 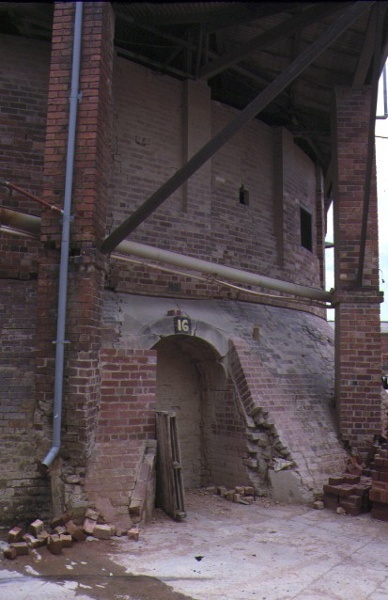 Part of the former Hoffman Brickworks No 2 site was added to the Victorian Heritage Register in 1989 (VHR H0703). At this time the site included three Hoffman kilns, brick press building, engine house, grinding shed (open structure since demolished), former works manager's office on the Dawson Street frontage (possibly pre-1929 but since demolished) and an external area of the pottery works. The earliest kiln at the site (1884) was demolished c2002, but the chimney has been retained.
. Internal alterations to the residential units.
. General maintenance to the buildings providing that the original formation and fabric of the kiln buildings remains unaltered.
. Maintenance, replacement and installation of plumbing, electrical and fire services where this does not impact on the cultural heritage significance of the place.
. The process of gardening, including mowing, hedge clipping, bedding displays, removal of dead shrubs and replanting, disease and weed control, and maintenance to care for existing plants.
. Landscape maintenance works provided the activities do not involve the removal or destruction of any significant above-ground features or sub-surface archaeological artefacts or deposits.
. Removal of vegetation to maintain fire safety and to conserve significant buildings and structures.
. Installation, removal or replacement of garden watering and drainage systems.
. Repairs, conservation, and maintenance to hard landscape elements, such as paths and gutters, drainage and irrigation systems, edging, fences and gates in a manner which preserves the cultural heritage significance of the place. This does not include the circular paved area indicating the location of previous kilns.
. Weed and vermin control activities provided the works do not involve the removal or destruction of any significant above-ground features or sub-surface archaeological artefacts or deposits.
. Note: Particular care must be taken with weed and vermin control works where such activities may have a detrimental affect on the significant fabric of a place. Such works may include the removal of ivy, moss or lichen from an historic structure or feature, or the removal of burrows from a site that has archaeological values.
. Public safety and security activities provided the works do not involve the removal or destruction of any significant above-ground structures or sub-surface archaeological artefacts or deposits.
. The erection of temporary security fencing, scaffolding, hoardings or surveillance systems to prevent unauthorised access or secure public safety which will not adversely affect significant fabric of the place including archaeological features.
. The erection of non-illuminated signage for the purpose of ensuring public safety which will not adversely affect significant fabric including landscape or archaeological features of the place or obstruct significant views of and from heritage values or items.
. Signage must be located and be of a suitable size so as not to obscure or damage significant fabric of the place.
. Signage must be able to be later removed without causing damage to the significant fabric of the place. 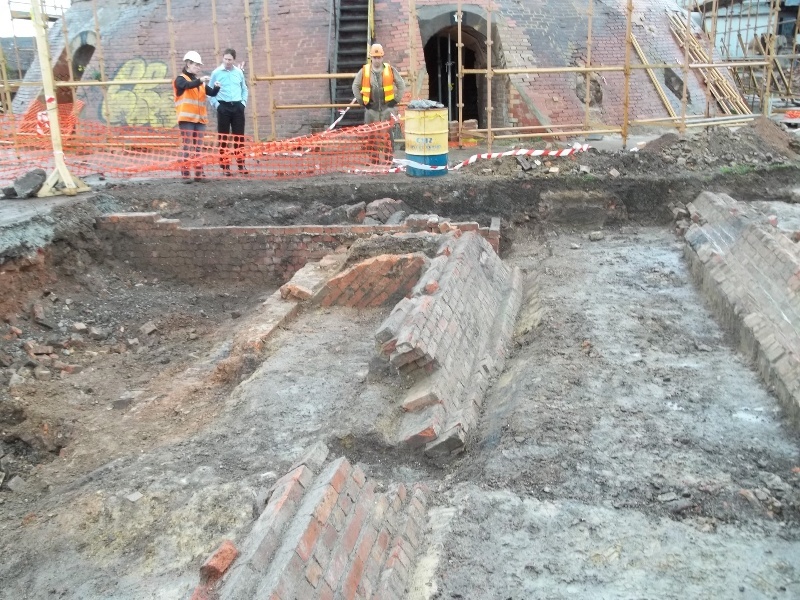 The two kilns, the chimney that remains from the third kiln, the brick press building and the engine house are the remnant above-ground structures on the site and permits must be obtained to undertake any work to these. The two kilns have been adapted for residential use however permits must be obtained to undertake any further work to these significant structures to ensure that any such work does not further affect their cultural significance. 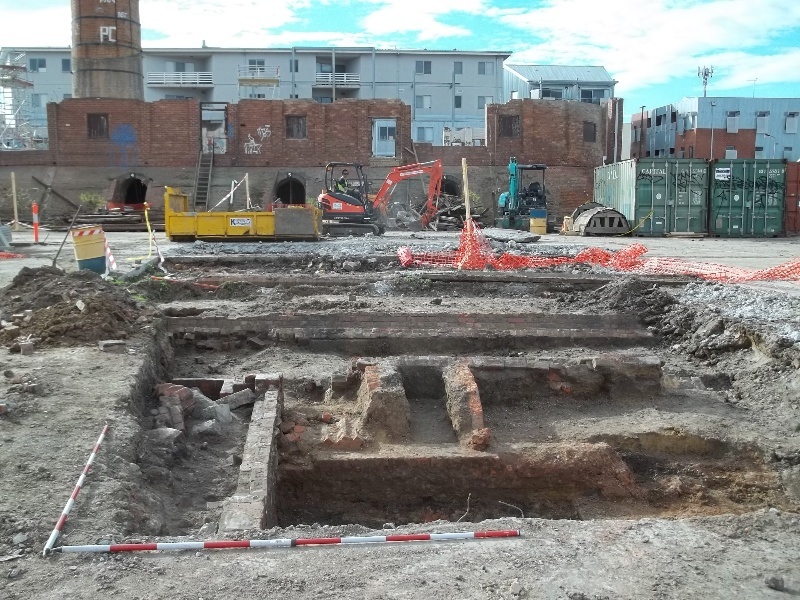 The entire site has the potential to retain significant historical archaeological remains relating to its original use as a brickworks and pottery and permit approval may be required to undertake sub-surface works which may impact on significant historical archaeological features and/or deposits.